Even though Elk Grove elected officials like heaping many accolades on the city, and by extension themselves, sometimes reality bites. This morning was one such time this happened. Following-up on comments posted on social media, a resident of the East Franklin neighborhood posted a YouTube video of a dwelling on Patti Way. 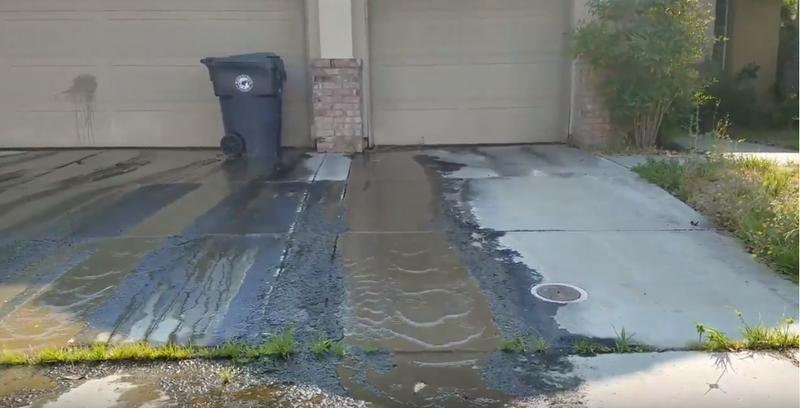 The video shows a steady stream of water flowing out from behind a closed garage door. Given that algae have developed on the driveway and sidewalk, which is a hazard to unsuspecting pedestrians, indicates the flow has been occurring for some time. The neighbor posting the video rhetorically asks who within city government could address the safety hazard, and notes this is the type of thing that affects home values. Perhaps, it is coincidental, but this is the same area of Elk Grove that has been experiencing unsavory events including a shooting at a recent house party. Looks like the Elk Grove City Council has their work cut out for themselves strengthening this neighborhood. It would be interesting to see who owns this property. Could it be one of the hedge funds vultures who swarmed the auctions on the steps of the Sacramento County Superior Court building a few years ago buying distressed properties for dimes on the dollar? If it is a hedge fund or some other out-of-town mass landlord, I wonder how the innovation departments application process would have prevented this sort of neglect been prevented? The answer it would not have done a darn thing. Just more malarkey emanating from the air bags at city hall. I have confidence that once the tortilla factory gets here, things will get better.